$45, limited to 20 people. This event is sold out. Look for it again in the future. Thank you! 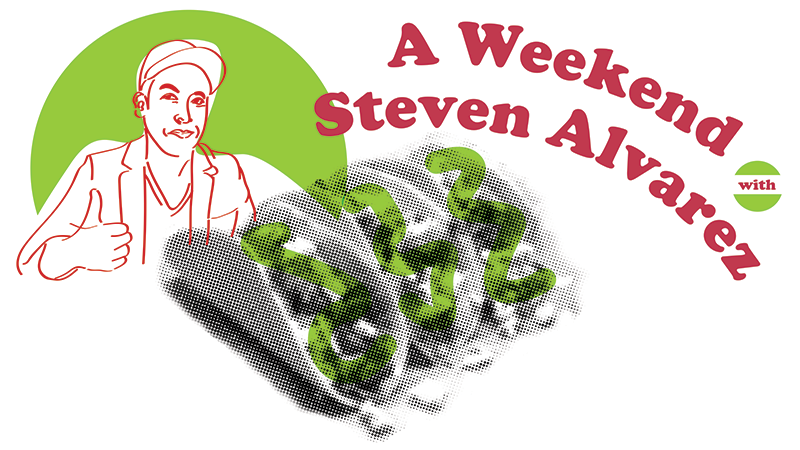 While at the University of Kentucky studying literacy in relation to immigrant populations and bilingualism, Professor Steven Alvarez developed a new course which quickly gained popularity on campus, as well as media attention across the US: Taco Literacy. Now an associate professor at St. John's University in Queens, Alvarez continues to teach this innovative class, exploring issues of language, culture, and authenticity through hands-on research into Mexican and Mexican-American culinary traditions and contemporary recipes. On June 30th, the taco scholar will host a taco walk featuring Pilsen's celebrated restaurants. Through a house-selected taco in each location, he’ll tell the story of how Mexican and Mexican-American food contributes to the culture of those who make it, those who eat it, and to the community in which it is served. Steven will be joined by Lou Bank, founder of S.A.C.R.E.D. (Saving Agave for Culture, Recreation, Education, and Development). At two stops, Lou will present and serve heirloom agave spirits and discuss the fermenting process, along with what makes each spirit unique to a particular region and community—and why. Click through to hear Steve and a Taco Literacy class on Dan Pashman's Sporkful podcast! STEVEN ALVAREZ was born in Safford, Arizona. He is the author of The Codex Mojaodicus, winner of the 2016 Fence Modern Poets Prize. He is also the author of the novels in verse The Pocho Codex (2011) and The Xicano Genome (2013), both published by Editorial Paroxismo. He has also authored three chapbooks, Six Poems from the Codex Mojaodicus (2014, winner of the Seven Kitchens Press Rane Arroyo Poetry Prize), Un/documented, Kentucky (2016, winner of the Rusty Toque Chapbook Prize), and Tonalamatl: El Segundo's Dream Notes. His work has appeared in the Best Experimental Writing (BAX), Berkeley Poetry Review, The Drunken Boat, Fence, Huizache, The Offing, PEN America, and Waxwing. Alvarez earned his PhD in English at The Graduate Center, City University of New York and Bachelor's degrees in Creative Writing and English at the University of Arizona. He is currently Assistant Professor of English at St. John's University in New York.